I’ve talked about the Xbox One console, now it’s time for me to talk about the games for it, or more precisely the games I have. I’m not necessarily going to be reviewing them, just putting my thoughts together on each game. At present, I have Battlefield 4, Ryse: Son of Rome, NBA 2K14 & Killer Instinct. I have now spent a decent amount of time with all, apart from Killer Instinct, I only really got it because it was free. Firstly Battlefield 4, I’m sure you are aware that this game has had quite a lot of problems since launch, and whilst DICE are working to fix them, a fair few do still exist. So the single player. After putting in a few hours in to it, I was enjoying it quite a bit. I had completed Baku, Shanghai and the South China Sea missions. Upon returning one day to get on with the next mission, I wasn’t greeted with the expected ‘continue’ option, but a start new campaign option… Yup, my single player progress had been wiped. Since then, I haven’t bothered returning to it, as its very likely it will be wiped again. I shall wait for a patch which confirms that it has fixed that bug, before trying again. That left me with multiplayer, and let’s be honest, this is really what I wanted Battlefield for. BF3 was amazing, and this going from 32 players (on console) to 64 players in BF4, for me, was very exciting! Couple that with the levolution to each level, I was hotly anticipating getting in to it! I’m not sure how many hours I’ve put in now, but I would hazard a guess at near the 30 hour mark, and I think I’m level 14 or 15. Apart from the connection issues, I haven’t experienced many problems. Having said that, when I do encounter the connection issues, it usually means I’m not getting in to a game that night, and therefore just give up. When I do eventually get in to a game, it’s great, and it almost makes you forget about the problems before hand. I’m trying to mix up what classes I play as, but I guess mostly I play as Assault and Recon. Assault because I feel I’m most effective at helping people out with this class. And Recon, because there isn’t much that can top getting a headshot from 500 meters +. Plus I find them very effective for taking out vehicles quickly! 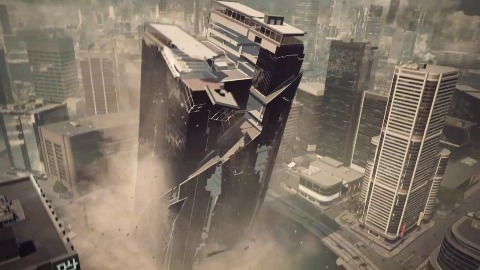 As for the levels, my favourites have to be, Paracel Storm, Dawnbreaker, Flood Zone and Zavod 311, although there aren’t really any I don’t like. I also haven’t bothered with any DLC yet, as I’m not sure how broken it is. To sum up BF4 in once sentence. When it’s working its brilliant, and there aren’t many games that can top the feeling of huge scale warfare, but when it isn’t, which is far too often for a game of this magnitude and budget, it’s a massive pain in the arse. 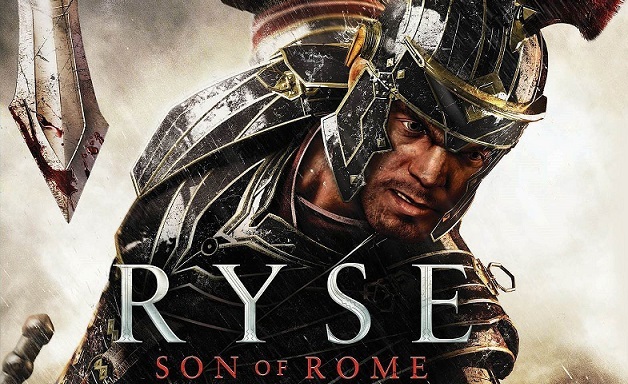 Ryse, in my opinion, got far too much hate when it was reviewed. Whether people expected too much from it, or whether people felt that because it was one of the only Xbox One exclusives it should have been better, I don’t know. What I do know, is I’m having a blast playing it! At its core it’s a very simplistic hack and slash game. But it must be said that it does do the hack and slash in great style. Ryse is a story about revenge, Marius Titus sees his family murdered early on by barbarians. He joins up with Commander Vitallion, who promises vengeance for his murdered family. I haven’t actually completed the game, so I can’t really go on about the story much more, because I actually don’t know what happens. Just know that it involves killing lots of barbarian scum! The first thing you will notice about Ryse, is that it looks stunning, and it really shows off the potential of next gen in terms of graphics. The second thing you will notice is that it’s easy to pick up, and that is because it has a very basic combat system. X is sword attack, Y is shield attack, A is block/parry, and B is role. That’s pretty much all you need to know. Combine X & Y (not the chromosomes) to take out your enemies, once they are badly hurt, a little skull will appear over their heads, this means you can, ahem, adopt mortal combat voice, “FINISH HIM”. There are a number of different finishing animations, but they ultimately boil down to you either pressing X or Y at the right time to perform perfect hits, which will net you more XP. Again its very basic, but I’m not tired of seeing Marius lopping off barbarian limbs like they are going out of fashion! I’ve dabbled a little in the multiplayer, but quite honestly it wasn’t all that exciting. Its set up to be a gladiator style event, with 2 players, where you face off against waves of enemies, who will differ in type each time. There will be the odd random objective for you to complete as well. But really it’s a pretty dull affair, and I haven’t been back to it since. Summing up Ryse in one sentence. The lights are on (it’s amazing to look at), but there is only one, simple person home(but very basic). Do you like basketball? Then you should probably play this game. From what I have played so far, I can’t really find any faults for the game. When I first played it, which admittedly was on Murr’s PS4, I thought I was watching a game on TV. It looks that good! I started off playing My Career, I’m currently at the Cleveland Cavaliers, and I’m not very popular. 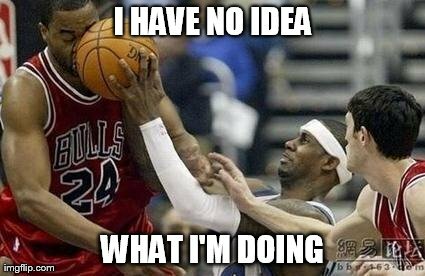 I haven’t played a basketball game in years, so it’s a bit of a learning curve for me – I’m just so used to kicking the ball… So the early days of my career have been blighted with less than average performances, a lot of bad passes, handfuls of bad shot choices, and quite a few fouls. I must say I have improved slightly as time has gone by, I think my best grade for a game was a B+. And I guess that’s all I can do, try to improve one step at a time! With the Houston Rockets being my favourite team, the choice for who to manage was an obvious one, The Boston Celtics of course! Not really, I picked the Rockets. James Hadren FTW! Needless to say, I have fared a bit better as a manager, and have gone unbeaten in my first 6 games. It really helps playing on Rookie difficulty. The manager mode is very in depth, you can pretty much control everything from players contracts and training, down to the prices of hot dogs in the stadium. I can’t wait to get to grips with it a bit more, as there are still loads of things I can unlock to tinker with. On the topic of unlocking things, you have to spend VC in game to be able to gain access to the unlockables. You can earn VC by winning games, completing objectives etc… But so far they seem a little stingy, and it could take a long while before I’m able to unlock the things I want. Of course there is a way to bypass taking the time to unlock them with micro transactions, but I wont be using that method! To sum up NBA 2K14 in one sentence. 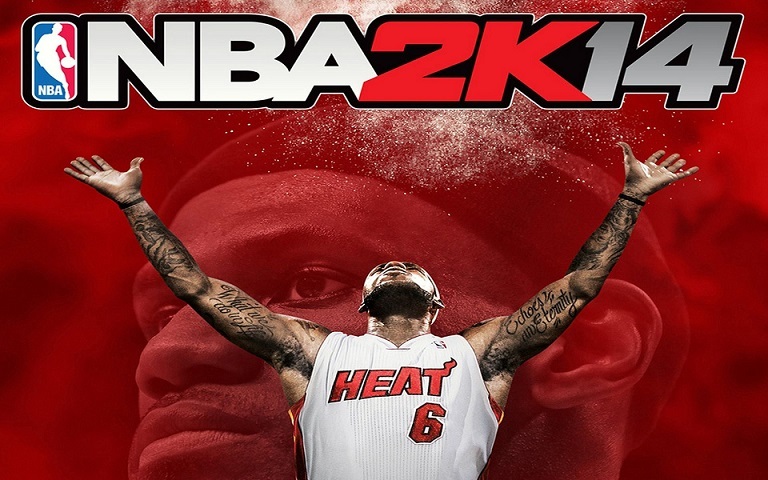 The best basketball game I have ever played, and possibly the best sports game I’ve played. All in all, I’m very pleased with the games I have to play on the Xbox One right now! I love the fact that in terms of 3rd party support for Xbone and PS4 we’re on the same wave. Battlefield and NBA2k14 were always going to be my first PS4 pickups. It’s about time i’m reading something about the Xbox One. All I ever see is Playstation articles everywhere. I don’t even read them anymore to be quite honest. Great article! I’m really looking foward to playing Ryse, and Killer Instinct one day. Yea it does seem that way. And the few articles you do see about the Xbox are usually bad, lol. But it is a good console! I love it. I’m not a big beat em up fan, so haven’t really played Killer Instinct much. I think I’m mostly put off because I’m terrible at them, no matter how much effort I put in. I think the only one I have ever been half good at was Tekken 2. I’m also really looking forward to Titanfall, and hoping to get in on the testing, but seeing as people are getting codes now, looks like I might have missed out. I’m not a fan of games like Titanfall. Competitive multiplayer games never attract me. That’s why I avoid COD, and Battlefield games because I never like them. The FPS genre has gone pretty stale in a lot of areas, COD being one of them. I’m hoping that Titanfall will mix it up a bit, seeing as its kind of objective based multiplayer. So it kind of has a story to go with it. I’m also playing the Project Spark Beta at the moment, but thats on PC, still waiting for the Xbox One version to go live. I’m thinking of writing up about it once I have played it more. Project Spark doesn’t look like my kind of game. It would bore me :]. As of right now i’m still playing The Banner Saga and I just recently started playing The Witcher 2 again on the PC. I’m also about to jump back in Skyrim and Bioshock Infinite. To be honest, I’m not sure if its my kind of game either, but I thought I would give it ago seeing as its free. I must admit The Banner Saga looks beautiful, but I’m not sure I would get on with it. I actually have some gameplay posted over on my site if you want to take a look at it. I also wrote a few articles on it. I read your review of it. But I haven’t really seen much actual game play. Must have missed the game play vids.